Welcome to the world of wealth, intrigue and murder most foul. Welcome to the world of mystery, welcome to the world of Largo Winch. Well if we are were in France that question would not even be asked considering that our mate Largo has been well known over there for some time on the television and as a series of graphic novels (comics). Largo is the adopted Yugoslavian orphan taken into the household of the world's wealthiest man and raised as his son. The old man was looking for an heir and when he passed away, 26 year old Largo took over the reins of the family's fortune and business interests. It is a world of the unexpected and Largo is basically thrust head-first into it when his company is starting to be torn apart from the inside and then there's the small matter of the fact that it seems that his father has been murdered. 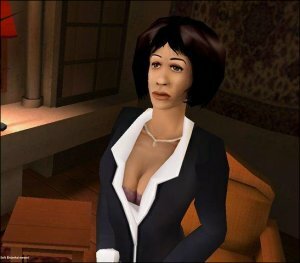 The game utilises a 3D engine to create the game world and is quite effective. Moving Largo about is not too hard and the main idea is to liaise with many non player characters to gain vital information about what might have happened to your father. The title itself is not too hard to finish and most players will be able to complete the title without too much assistance. In game data is held within a hand held computer which should see you stay on track throughout the title. 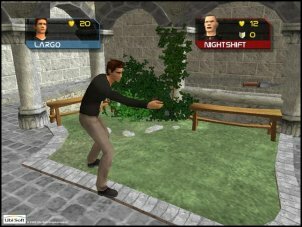 Alongside the primary adventure game there are also 2 mini games that involve stopping hackers from getting in to the company's computers and also a fighting game. They are both turn based and very similar to what you could expect in an RPG. The cool thing about the computer one is that you have to hack into your own computers on occasion which involves puzzle solving to an extent. Each of the mini games will increase in difficulty as the game progresses although not to the point of hampering the progress of the game. There are not many playable areas to the game and limited areas to explore. Most of your time will be taken up talking to characters hoping to get a clue as to what really happened to your father and the company. The game's camera follows the action nicely and doesn't let you down in any regard. 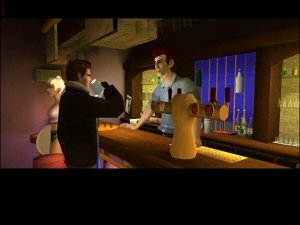 The games textures look good and the title was designed first for PS2 and then ported to other machines. 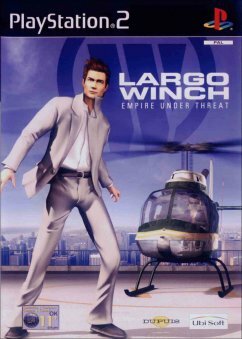 In summary, Largo Winch is a good solid game that most players will get some enjoyment out of. More experienced puzzle solvers may become a bit frustrated by the ease of the title, however those new to the genre should have a blast playing it. I do recommend the title at least as a rental before making your purchase. It's a lot of fun but I am not sure if you would play the game over and over again. Give it a try!